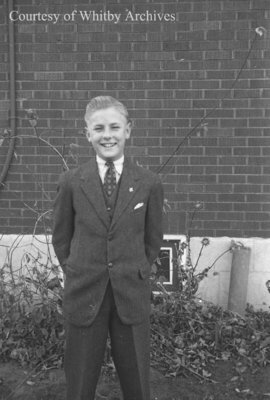 A black and white negative of Ralph Brown dressed in a suit and standing outside of a building. In this view Ralph is smiling. Ralph Brown, c.1938, Marjorie Ruddy. Whitby Archives A2013_040_663B.